"How to get more traffic on my blog? ", "What is the best way to grow more traffic from organic search? 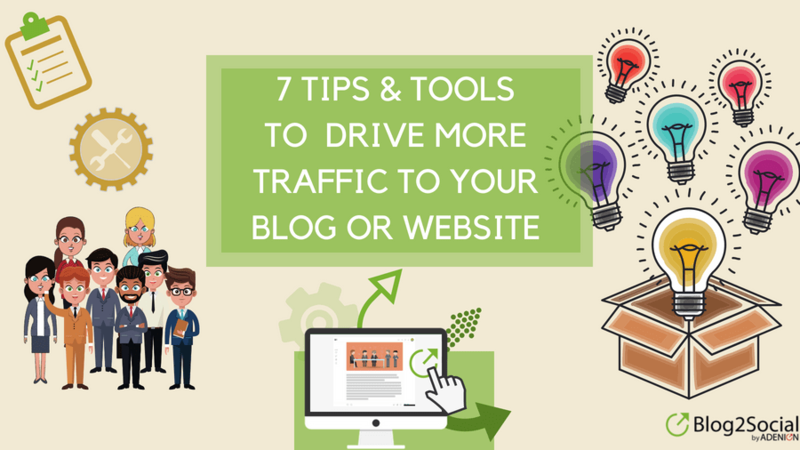 ", "How to drive more traffic to a new blog?" are some of the most frequently asked questions from bloggers. The answer is: there is no one single best way and no magic formula for generating traffic. It’s a combination of SEO, marketing and social media strategies, that will drive more traffic to your blog or website, and help you to grow a loyal community. Major reasons for low traffic and interaction are primarily found in a lack of valuable content, an inconsistency in posting and engagement, and a lack of promotion. But even, if you’re publishing great content and you really have valuable things to tell your audience, it happens that your traffic numbers just don’t seem to be climbing as much as you wish them to do. Doing SEO is not enough to grow and boost a site. And, SEO is not just about technically optimizing your page. The search engine algorithms have evolved and become more complex. They preferably rank sites that meet peoples’ needs. They can actually show results that match each user's individual surf and search behavior. On-page SEO is still important, but today, SEO is all about content quality. If you create quality content that matches the interests of your target audience, you will go a major step to doing great SEO. Including the right keywords and maximizing readability is the next step towards a good ranking. Promoting your content for maximizing visibility and engagement is the ultimate discipline. There are a lot of elaborate tactics that can have a huge impact on your site traffic. But there are also a couple of basic things you can do to improve your SEO as well as your marketing and social media efforts. And you don't need to be an expert for this. However, you will need passion, patience, and persistence to make your blog successful. But this will pay off in the long run.